92 S., 13,5 x 21,0 cm. The authors and their co-writers describe the clinical framework and the medical care conditions for the application of the high frequency psychoanalytic psychotherapy, i.e. therapy conducted with more than three psychoanalytic sessions per week, and substantiate its special clinical advantages both from a historical psychoanalytic viewpoint and with respect to relevant aspects of the current situation. – Central importance is attributed to the emotional intensity of the patient-therapist relationship and the therapeutic approach to the current genesis of transference, counter-transference and resistance as a new via regia to the unconscious and its effects on experiencing, behaviour and bodily functions. The self-protective and defensive functions of aggression and libido are described as constitutive features of therapeutic processes of change. 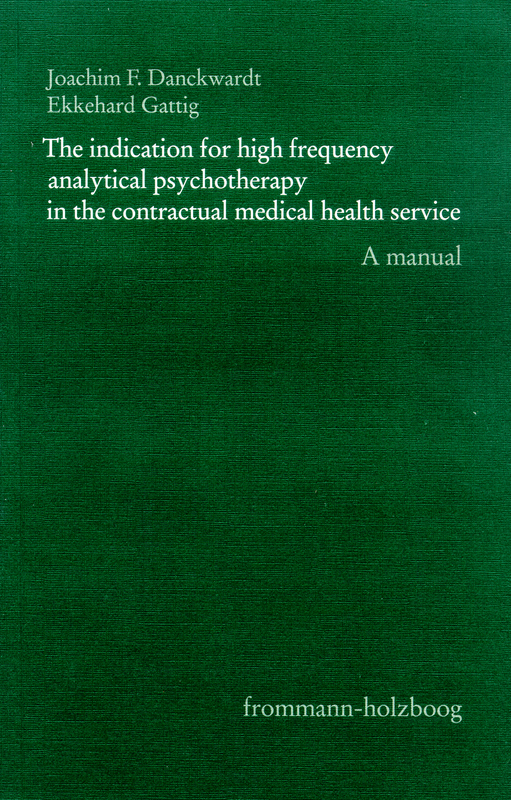 – The continuity of the analytic-therapeutic experience and the timelessness of the unconscious on the one hand and the contractual conditions of the medical health service system – medical necessity, appropriateness and cost effectiveness – on the other create a state of tension which may be therapeutically employed if the necessary framework of conditions is negotiated between therapist and patient. The mutual agreement on a treatment setting to which both patient and therapist are able to adjust to is a precondition for therapeutic success. Das vorliegende Manual, das übersichtlich gegliedert und mit einem sehr differenzierten Sachwortkatalog versehen ist, [ist] ein wichtiges und der Lektüre anzuempfehlendes Buch.